Are you looking for technologically advanced optical equipment to enhance your photographs while still being functional and fun to use? Are you an underwater photographer who wants functional and technologically advanced optical equipment to enhance your photographs and your fun? i-Divesite is an exciting company specialized in innovative design and production of underwater optical and photographic equipment. As the manufacturer of our own brand, our mission is to increase the popularity of underwater photography by making it more affordable and user-friendly and therefore more enjoyable for the hobbyist and professional. Our products have it all-great function, excellent appearance, and competitive prices. The combination of these factors makes our products accessible to everyone. 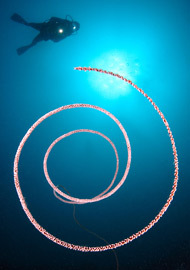 Our goal is to enable you to have many unforgettable underwater photography experiences! We have distributors and dealers all over the world, including Hong Kong, China, Taiwan, Philippines, Singapore, Malaysia, Thailand, Japan, South Korea, Australia, Austria, Germany, Italy, Spain, Netherlands, Switzerland, the United Kingdom, Canada and United States.